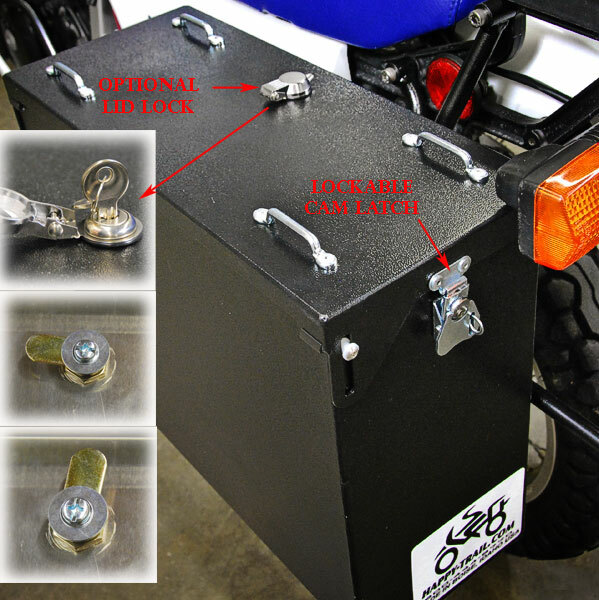 The Cascade Pannier Kit for your Suzuki DL650 2017+ is designed as a great alternative to the Teton when you want more capacity without extra width. 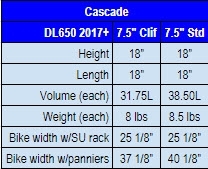 The 7.5" Cascade creates more volume (38.5L) with increased height, not width. By comparison, the Teton 7.5" gives you 33L, the Teton 9" gives you 38L.